Here we have a case Dr. B treated last year and is now 12 months post op. 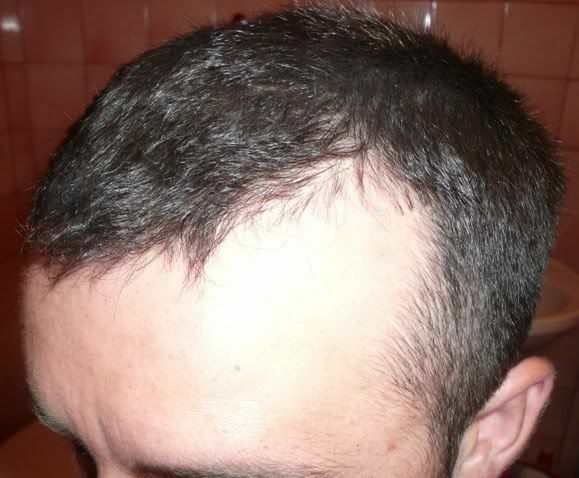 He wanted to rebuild his hair line, not too aggressively and remove the high temple points and lateral slightly. The temples were reconstructed as was the immediate frontal line with very slight “touch up” work on the laterals; Dr. Bisanga used approximately 1900 grafts to achieve this result… hair per FU count to follow. All pictures were taken by the patient, Pre op, 4 Days Post & 12 Months Pictures with wet/gelled hair… hairs per FU to follow. » Here we have a case Dr. B treated last year and is now 12 months post op. » result… hair per FU count to follow. 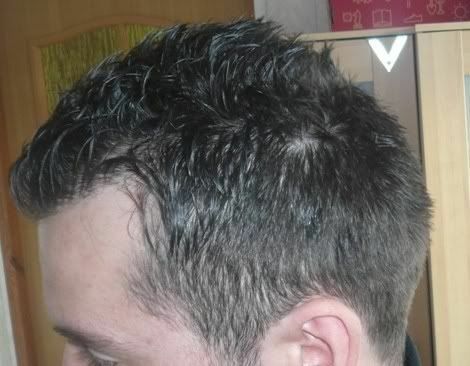 » Pictures with wet/gelled hair… hairs per FU to follow. I think this is a great result. Especially for only 1900 grafts. Looks very natural. This is a nice use of grafts to provide density and a subtle temple change----it would be easy to get more aggressive, but congrats for using the least amount of grafts possible to achieve the patient’s goals. Armani people should read this, I think 1900 grafts is about right, if it was Armani treating this patient they would probably use 3000 grafts. That is some damn good result there! BHR HDC Armani Hasson/Wong and Umar being my favourite docs, I chose Armani. That makes me “Armani People”? Why is there all of a sudden coalition or group being formed in your mind? When I post I’d like my opinions and concerns to be taken in a general patient’s perspective, not “Armani People” because I got my surgery with him. 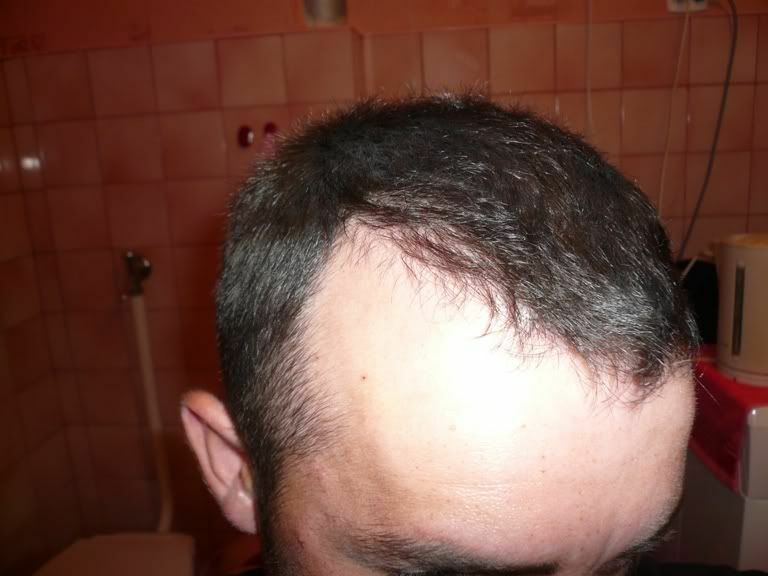 No doubt in the quality and naturalness in this hairtransplant, ipod. But Not everybody will settle for what this gentleman received. 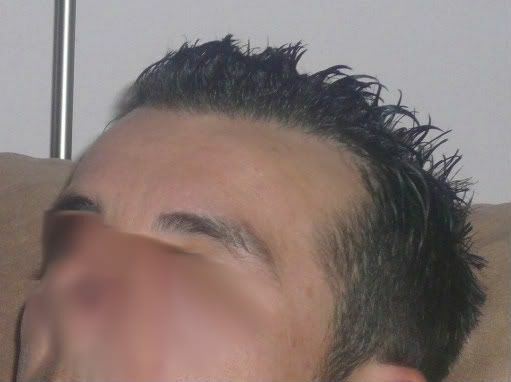 Most people in his post-op hairline would opt for a hair transplant even then. If you’re going to go, then make a big difference, not a tiny one. That’s my opinion not a fact. Your attack on Armani or his patients or the Armani “coalition” even on another clinics thread is not kool. If any surgeon were to cover a wide area and close the temples and lower the hair line then obviously more grafts would be used. Patients have a responsibility to be well informed of what they want along with being informed by the surgeon as well. But when I sat with Armani I was told specifically “do not lower the hair line, just thicken up and build form it’s current place” I specifically said “lower my hairline, close the temples, densen it up. I will deal with future issues as they come”. 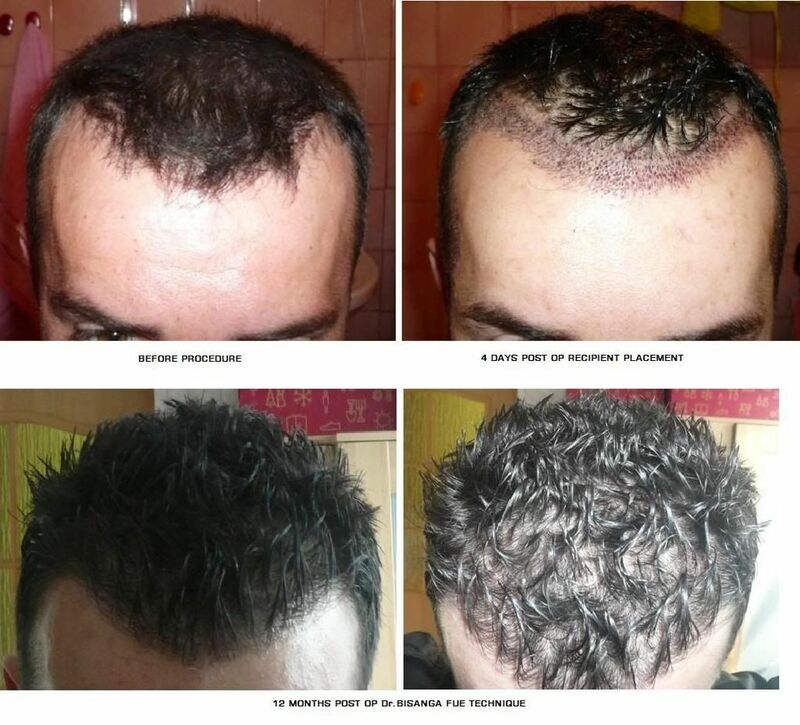 Regardless of how many grafts this patient received, it’s a clear cut, bone dry, perfect hair transplant. Could there have been more areas to be covered? That has to do with the patient/doc decision, donor supply, hairloss pattern, etc. » was Armani treating this patient they would probably use 3000 grafts. Hair Line design is very individual, what turns one person on turns another off I guess. What is an important factor is that whatever design it takes into consideration his facial characteristics, bone structure and very importantly considers donor management and the potential for future hair loss. Especially with younger guys when their memory of a full head of hair is that more vivid and their desire to return to before is great. It is not advisable to “give in” to patient pressure and go against your experience and knowledge what maybe in the future it all turns sour. Education and understanding of the future is so important, and as a Dr./Clinic they have a responsibility to inform and not just do because the person wants to do. I think its a nice and natural result. » That is some damn good result there! I agree, nobody can tell this is a hair transplant. » a responsibility to inform and not just do because the person wants to do. Kudos to your clinic for taking this approach. There will be many young patients very thankful in future years they listened to you and didn’t use up half their available donor recreating a teenage hairline. » » That is some damn good result there! » I agree, nobody can tell this is a hair transplant. why do you think those photos were taken in such an angle and why do you think he has to use gel?